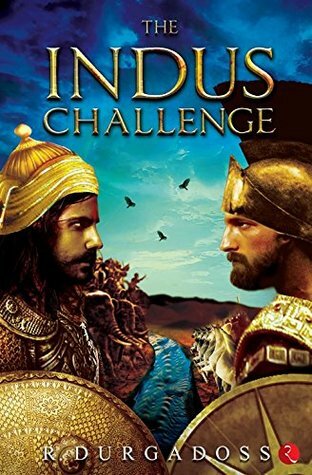 The Indus challenge is a historical fiction covering many ancient facts about Brahmasthra and Amrit. 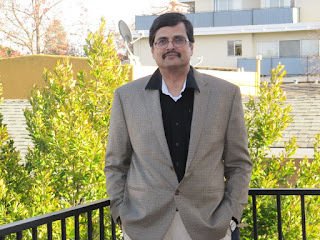 This story is second part of the series about a specific chatacter from Mahabharata epic which the author mentions as reborn in mauryan tenure. 'Rudra' who is the hero of the story plays a key role in establishing mauryan empire with guru Chanakya, Chandragupta and a group of nine young men known as Nava Yuva sena. The story is about the clues this team finds and the puzzles it solves to claim nine sciences and unravel the secret of the universal missile 'Brahmasthra' mentioned in Mahabharatha epic. 4. The images in the book which were relevant and useful to understand the story better. 1. Logic is missing at a few places and some information is repeated many times like the details about Brahmasthra and its impact. 2. The narration and vocabulary can be better. There are too many quotes and lengthy conversations in the story as if the characters are giving a speech to the reader. 3. 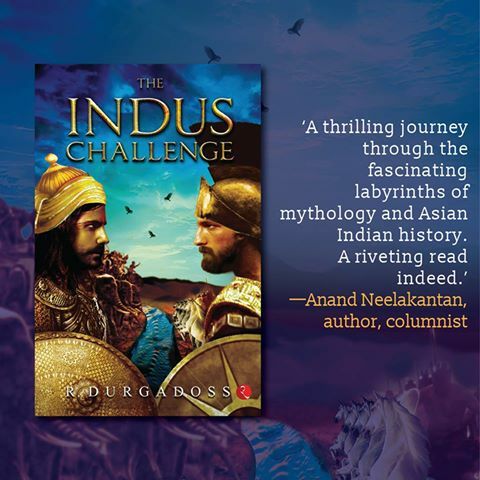 Eventhough title of the book and blurb give an impression that it's more about puzzle and challenges, the story drifts its focus more on politics in Mauryan empire than the puzzle to unsolve Brahmasthra. Overall, it's a good read if you love historical fiction. If the story is narrated in a better way, this would be an impressive book with many historical facts. Ps: I have received this free review copy from The blog tours in exchange for an honest review and this is my unbiased opinion on the book. This will be a good read for those interested in historical fiction, especially those not familiar with this era. Thanks for the review. Historical fiction isn't easy to write and is infact one of my favourite genres. But it needs to connect to keep one hooked. Historical fiction set in WWII is what I like reading. I'm not very keen on mythological books, Ramya. However, I often find that a good storyline is simply not enough to make a book great. I loved your honest review and glad you listed them in points on what you liked and what you didn't. Great review. I'm not too keen on historical fiction from mythical times. I feel like I went through most of the mythology as a kid thanks to my grandfather. Thanks for linking up! True, it's difficult to write historical fiction and keep reader's attention throughout. Yes Corinne. The narration and characterization makes a lot of difference along with storyline. It's my pleasure to linkup Sanch.